In the Auburn-Alabama rivalry, both sides are reluctant to praise the other. Sometimes, though, you have to give credit where it’s due. 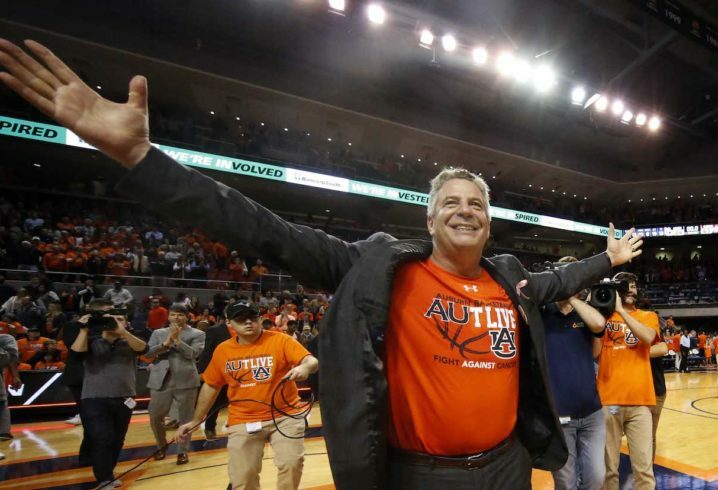 Bruce Pearl’s Tigers picked up a huge win over Alabama (84-63) Saturday night to get to 4-4 in conference play and try to gain some momentum for the rest of the SEC schedule. The Auburn Arena crowd was fired up for the showdown with the Crimson Tide, something UA’s John Petty noticed. “This is a tough building to play in. Tonight just wasn’t our night,” Petty said, per Justin Lee of the Opelika-Auburn News. Petty’s praise for the rival fans wasn’t done. That may not sit well with Crimson Tide hoops fans. Petty led the Alabama scoring effort with 18 points in the road loss. A University of Florida alumnus, Andrew joined Saturday Down South in 2015. Follow him on Twitter @ByAndrewOlson. A dramatic finish to this SEC West showdown. Petty knows what good sportsmanship is. You don’t see that a lot nowadays.